This is another feel-good design by world-renowned painter Megan Duncanson. 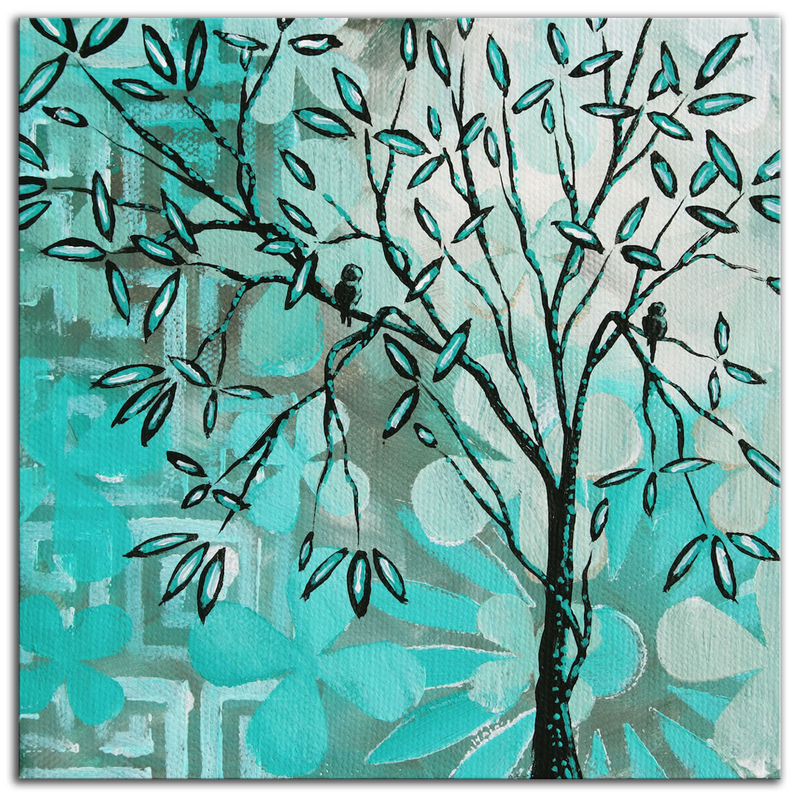 In a dreamlike turquoise landscape setting, an artistic tree basks in an abstract landscape with a pair of birds perched and enjoying the view. Megan does an incredible job creating a sense of emotion in her paintings - even with an abstract twist on the subject, you get the impression of a couple of love birds perhaps a little too bashful to sit side-by-side. This painting creates a pleasantly calming and peaceful aura, which is not easy to do with contemporary art.